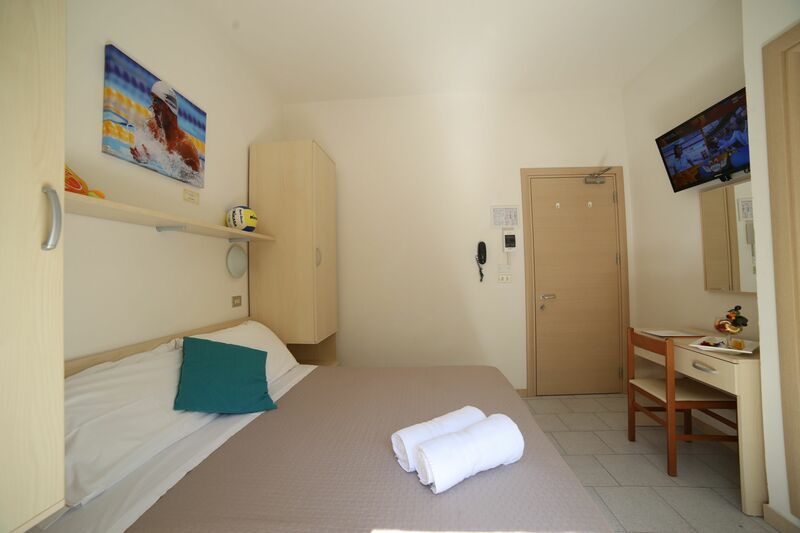 The rooms BASIC are the perfect solution for those looking for the cheapest price. They are located on the basement floor of the sea residence. These rooms do not have air conditioning. They have tv, windows and private bathrooms with open showers. 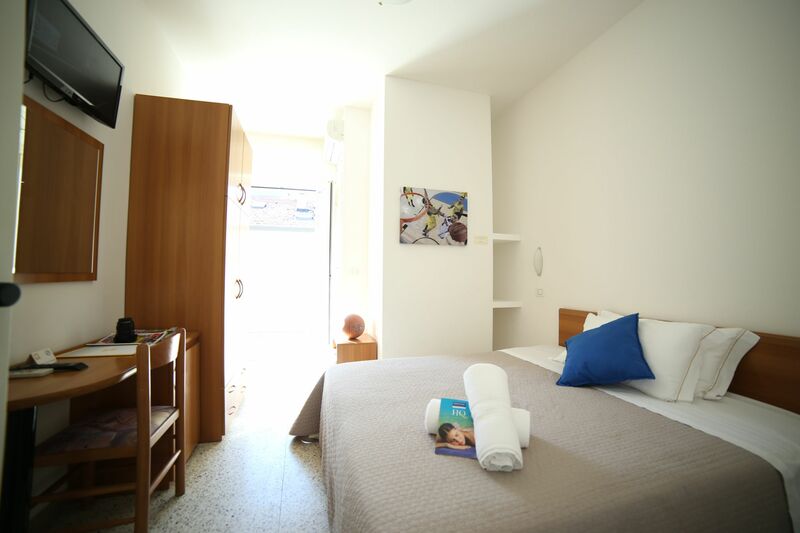 The rooms CLASSIC of the sea residence are located on the 1st and 2nd floor and are accessible only by inner stairs. They are supplied with safe, LCD TV 26 ", desk, balcony with side sea view, bathroom with shower cabin and classic furniture. 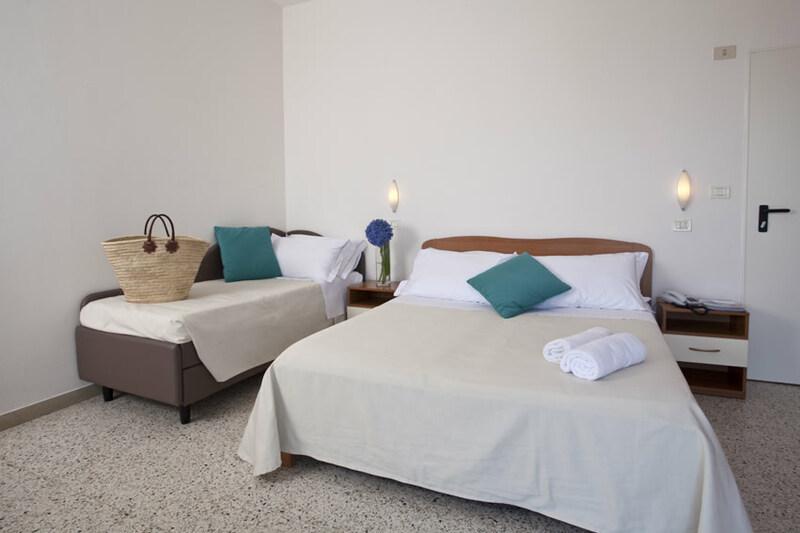 The rooms COMFORT identify our intermediate solution; they are all located in our main residence and most of them have balconies with side sea view. They are reachable by lift and are supplied with safe, LCD TV, desk, renovated bathroom with shower cabin. 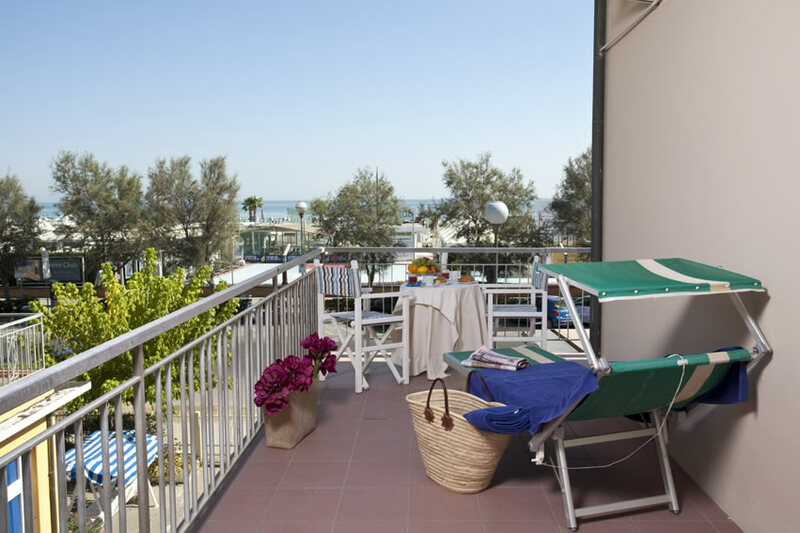 The rooms COMFORT PLUS are the best solutions: best sea view, wider rooms, bigger balconies and modern furniture. They are located in the main residence and are reachable by lift. 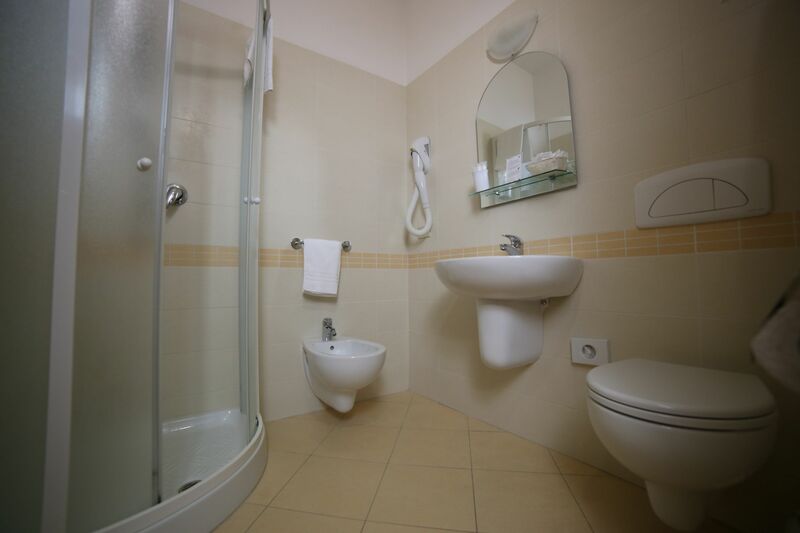 They are supplied with safe, LCD TV, desk, renovated bathroom with shower cabin. 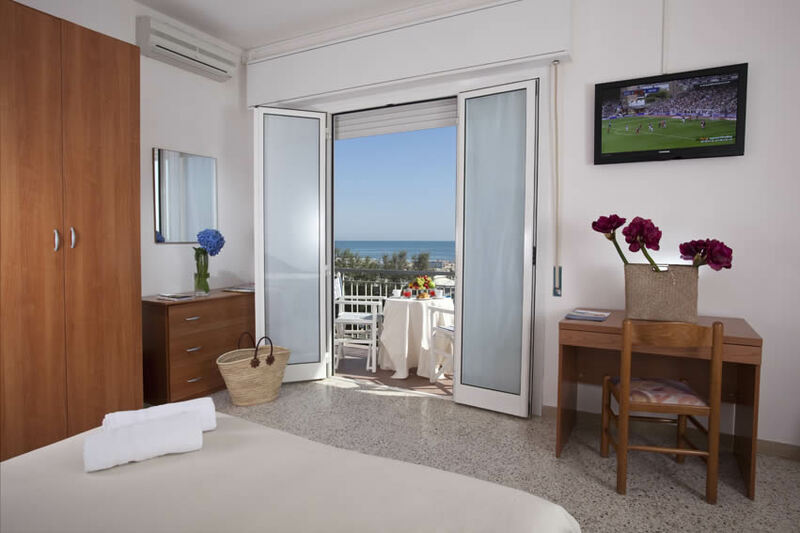 The rooms COMFORT PLUS of the sea residence are two family rooms and offer a perfect frontal sea view. They are carachterized by the comfortable space of their balconies and are supplied with safe, 32 "LCD TV, desk, renovated bathroom with shower cabin.